Helped put the world on wheels and create the American suburbs. 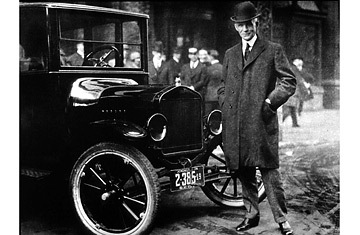 When Henry Ford doubled his workers daily wage to $5.00 (in 1913), it meant the people who built the cars could also afford to buy them. A social revolution. Remarkably, some have called it a lemon.